Not content to simply sell greens and be done with it, RiseBoro Farmers Markets kicked off their 2018 market season last month with a colorful plant sale and a slate of free arts programming and artisan delights that will liven up Bushwick streets through mid-December. RiseBoro’s markets are also unique in that they focus on lesser-known local vendors, giving emerging artisans and farmers an opportunity to thrive. Why do they go the extra mile? Photo by Niki Davis-Fainbloom for Bushwick Daily. “Being able to highlight interesting and exciting things happening in Bushwick is a big reason why we’re here,” says Ali Toxtli, Farmers Market Manager. 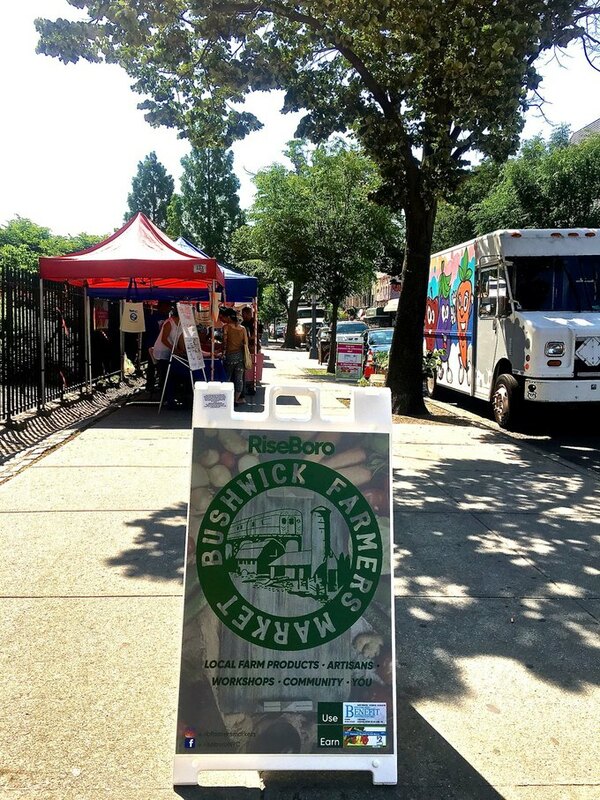 The larger mission of the RiseBoro Markets is to provide a platform for Bushwick’s rich cultures and burgeoning local vendors—all while meeting the local demand for nutritious food, fitness and preventative care. In that spirit, we’re pleased to bring Bushwick Daily readers a special introduction to two of this season’s hand-picked vendors: one brand new, and one longstanding. Andy Marte. Photo by Niki Davis-Fainbloom for Bushwick Daily. Andy’s handmade line of body care products uses raw ingredients sourced from Africa, the Caribbean and Europe. The Taino people are native to the Caribbean and once comprised the majority of the region’s inhabitants. “I’m from the DR [Dominican Republic] and grew up in Bushwick. It was primarily Puerto Rican then, and there was always a little tension between the two groups. I wanted to do something that could be a unifying agent between them. “Deeper than that, I am a Hispanic person of mixed race, so I wanted something that could unify that aspect as well. “There’s also a connection to growing up in Bushwick: I left to go to college and came back, so I feel like a bridge between those who grew up here and newer residents. Taino Body products. Photo by Niki Davis-Fainbloom for Bushwick Daily. 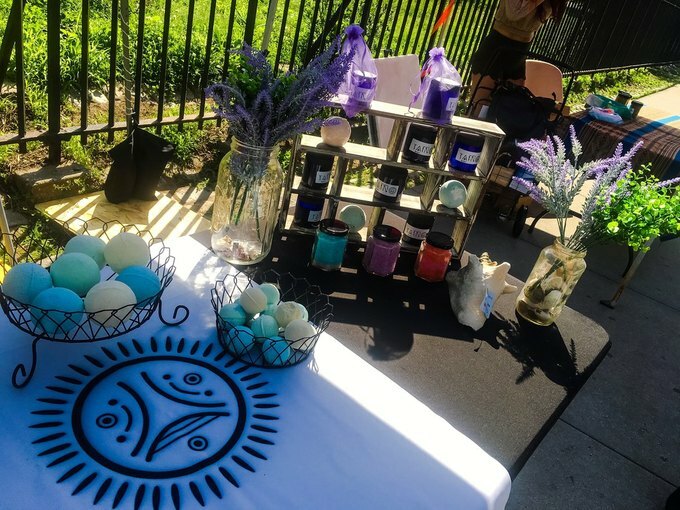 Taino Body will donate 50 percent of sales of its Borinken Blue bath bombs and $1 from each bag of Julian Coffee (used in some Taino Body products) towards Hurricane Maria relief efforts, via Ayuda Legal Hurricane Maria. “Our underlying mission is to unite—whether that's different parts of the world, or different cultural groups, or new and old residents of Bushwick,” says Andy. As an eco-friendly business, Taino Body gives customers 25 to 50 cents off their products when they return their glass jars for future use. 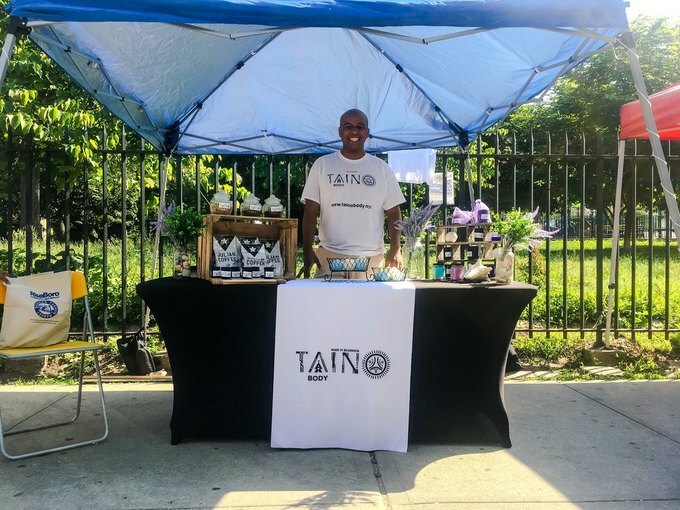 Taino Body will be at every Saturday market this year. Check out their website for their full line of products—and if you want custom orders for an event, Taino Body makes great party favors! Derrick, left, with a Doe Fund colleague. Photo by Niki Davis-Fainbloom for Bushwick Daily. A rotating selection of positively delicious baked goods, made by Doe Fund program participants: formerly homeless or incarcerated men who are learning new life skills. Derrick is the Doe Fund’s Food Service Coordinator, Customer Service Class Instructor, and Farmers Market Manager. “I like the community there at Maria Hernandez. We get a nice welcome. They show us a lot of love, and we show it back. I always look forward to that; it’s a nice vibe. Baked goods at The Doe Fund booth. Photo by Niki Davis-Fainbloom for Bushwick Daily. Happily, 2018 will not be the year of the low carb. “We just created some new rye breads with sautéed onions and caraway,” says Derrick. “We also have a flatbread with rosemary—and habanero to give it a little kick. 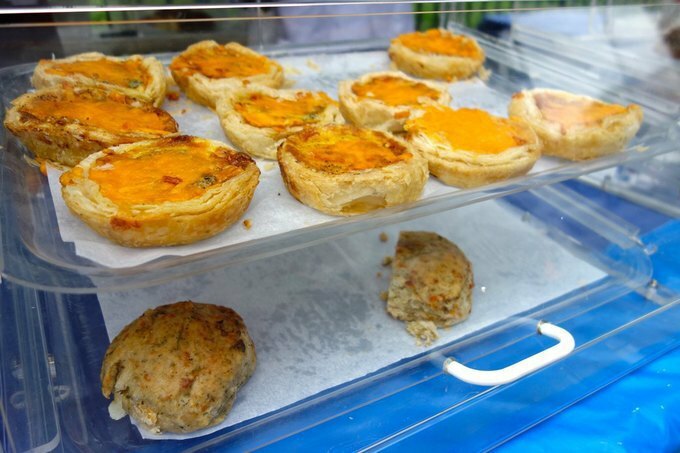 Some of our best sellers are the carrot and zucchini bread, and spinach quiche. “I am the perfect example of what this organization can do for your life,” Derrick says. “Four years ago, I couldn’t cook a biscuit; I never had a baking experience in my life. Now I really love it. I ran the streets for years, doing foolish things. But that’s over now. I no longer have a job, I have a career. And I get to pay it forward with the trainees that I work with. If I can turn it around, they can turn it around, too. 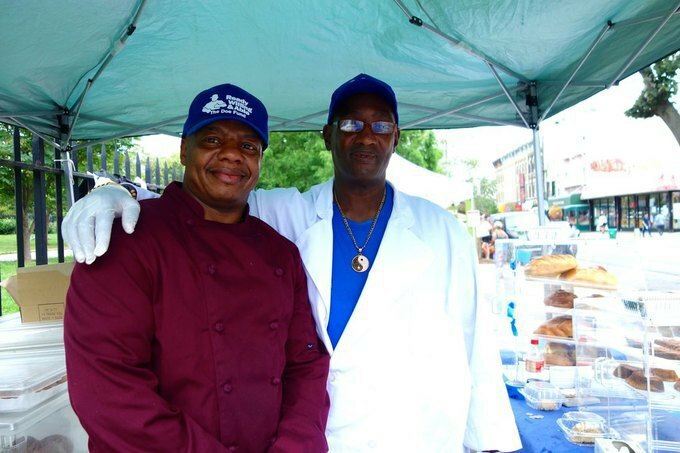 Support The Doe Fund’s good culinary works—and get yourself a tasty treat—at RiseBoro’s Saturday markets in Maria Hernandez Park. Socioeconomic inclusion is a key mission of the markets, so cash, credit, SNAP, and WIC are all accepted. Use your SNAP benefits and get 40% additional value through the NYC Health Bucks program.